I’m troubled when I hear of expats in the Philippines having trouble at our local Immigration Office in Iloilo. 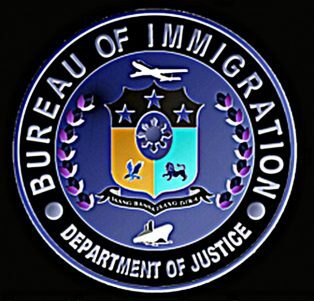 Today’s post, “ Iloilo Bureau of Immigration Refuses to Extend Foreigners’ Tourist Visas” addresses this issue. Furthermore, two foreigners were reportedly told by an Iloilo Immigration Officer that they might not be let back into the country if they left the Philippines and tried to return. Those two foreigners felt threatened by the Iloilo official in charge. One of them, “Bean,” was instructed to come in to the official’s office. “We will not extend your tourist visa. You need to marry a Filipina or obtain a SRRV [Special Resident Retiree Visa.] THIS IS YOUR FIRST WARNING!” he was reportedly told. However, was “Bean,” indeed, qualified to extend his tourist visa in the first place? He had returned to the Philippines last June 2017 and his tourist visa had been extended for six months. I am a foreign national under a Temporary Visitor’s Visa, I can stay legally in the Philippines for thirty (30) days however I want to extend my stay, how do I go about this? Foreign nationals who are admitted with an initial stay of thirty (30) days may apply for a visa waiver first, granting an additional stay of twenty nine (29) in the Philippines. Thereafter, you may apply for one (1) month, two (2) months or six (6) months extensions at least one week prior to the expiration of your valid stay. How long can I extend my in the Philippines? Under Immigration Memorandum Circular No. SBM-2013-003, non-visa required national may extend their stay up to thirty six (36) months while visa required national may extend their stay up to twenty four (24) months. Note: The said periods shall be counted from the date of the applicant’s latest recorded arrival. “Bean” is a non-visa required national. Though I don’t claim to be an attorney and my semester of Business Law doesn’t qualify me as one, it seems clear to me that “Bean” should have been granted an extension without having to leave the Philippines and return. “Bean” asked if another Bureau of Immigration Office could extend his tourist visa. “They’ll tell you the same thing,” answered the Iloilo Immigration Officer rather curtly. Nevertheless, “Bean” traveled to the Cebu Bureau of Immigration Office this past week and was granted a six month extension of his tourist visa without any difficulty whatsoever. “Bean” stated the Cebu Immigration Office was a well-organized and professional operation with courteous employees. A security guard checked the expat’s paperwork for his extension. No one asked him any questions. He paid the cashier and was on his way, extension in hand for another six months. Therein lies the rub. Why did the Iloilo Bureau of Immigration refuse to extend “Bean’s” tourist visa while the Cebu Office did so without any question? Furthermore, why was it necessary to intimidate the two foreigners and threaten them with being banned from the Philippines? The other expat in question had to travel to the Immigration Office in Manila to extend his tourist visa. It cost both foreigners thousands of pesos to travel to these other Immigration offices for a matter that seemingly could be handled at the local Iloilo Bureau of Immigration. At one point the Iloilo Bureau of Immigration officer pointed to a person sitting inside the office. The individual was said to be employed by a private Immigration agency. Reportedly, “Bean” was informed that the individual could help him with his “problem”… for a fee.